Highly Detailed British Vision Cupola beautifully mastered by Fabio Sacchi. 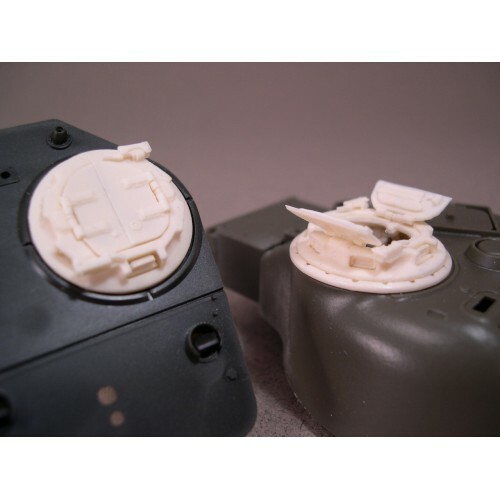 Assembled from 20 parts with interior detail, positionable hatches, inner and outer periscope parts, and adapter ring to fit Sherman Turrets. Can be used on Churchills, Comets, Late Cromwells, and Commonwealth Shermans. 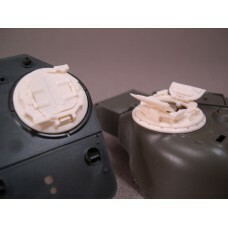 Shown on Tasca Firefly Turret, and Tamiya Churchill roof.